Since it's founding in 1930, The Boy Scouts of America has helped younger boys rhough Cub Scouting. It is a year-round family program designed speifically for boys in the first through fifth grades, ages 7-10. Not only is family involvement encouraged in our Pack, it is essential to the success of Scouting.We would like to welcome you to our Pack. We promise that you will gain a lot out of Scouting if you put in the effort. We are pleased that you have chosen to be a part of the Scouting family, and we will do our best to help you achieve all of your Scouting goals. Please email planopack283@gmail.com if you are interested in joining Cub Scout Pack 283! 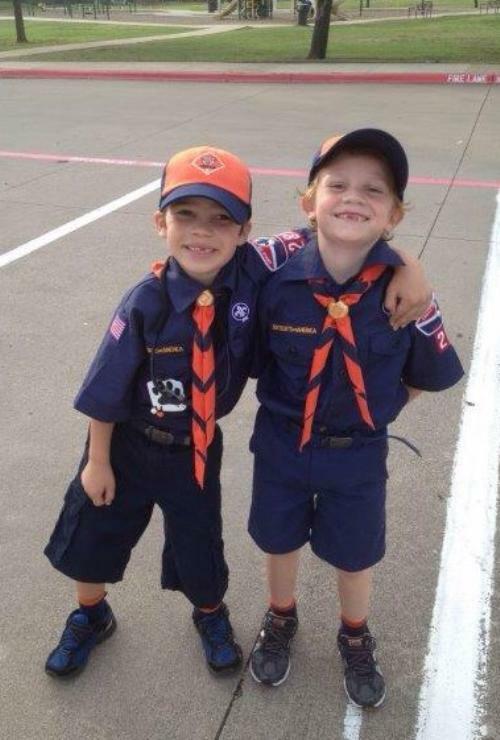 For over 8 years, Pack 283 Cub Scouts have been having the time of their lives making new friends and learning new things in an environment designed to help them succeed. From building his own pinewood derby® car to learning how to roast the perfect marshmallow with his best friends at a family campout, your child will LOVE being a Cub Scout. So if he's in the first through fifth grades, or 7 to 10 years old, then it's time for him to have some fun … with the Pack 283 Cub Scouts.